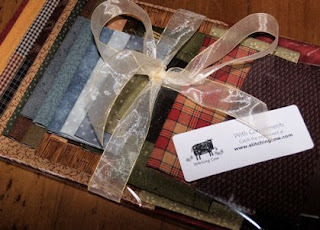 Fabric starter kits for the new nursery rhyme quilt by Little Green Cottage are available now at Stitching Cow. 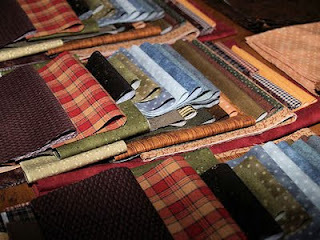 Last week I spent days cutting and sorting fabric. Not that I'm complaining. I love nothing more than playing with fabric, even if it involves folding and packaging it for someone else to enjoy. And hubby is very relieved to have a few less bolts lying around the house. The starter kits contain most of the exact fabrics I used for the applique in my new nursery rhyme quilt, unfortunately I did not have enough of the cream background fabrics or the green border to include although these will be easy to substitute. I have just taken all the hard work out of choosing colours for the block designs. Thankfully they have been moving quickly because last week my delivery man came to my door with a new range I had ordered for a future project. Hubby shook his head and signed as more bolts entered through the front door. If you're looking for a new quilt project head on over to the nursery rhyme quilt information page. 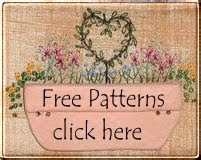 There you will find close ups of the blocks and details about how you can join the monthly e-pattern program for only $10.50 per month. It's a fantastic way to tackle a more challenging quilt project. 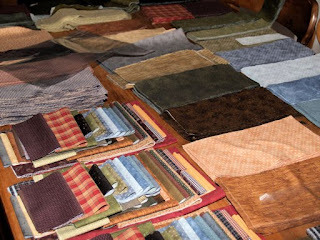 And while you're there grab yourself one of the starter fabric kits, they won't last long. Sounds very good and innovative too.